We’d love your help. Let us know what’s wrong with this preview of Adam Smith by D.D. Raphael. In simple language, D.D. 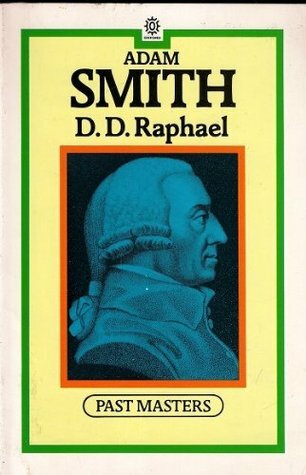 Raphael presents the systematic character of Smith's theory, its emphasis on and expanation of econmic growth, its advocacy of free trade, and its underlying philosophy of 'natural liberty'. 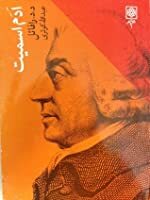 To ask other readers questions about Adam Smith, please sign up. D.D. Raphael presents the systematic character of Smith's theory, its emphasis on and expanation of econmic growth, its advocacy of free trade, and its underlying philosophy of: 'Natural Liberty'. A brief but useful overview of Smith's major works. The book refutes some earlier comparisons of the idea of "sympathy" in Moral Sentiments versus Wealth of Nations and adds some of its own. If you were time poor and had to choose between this book and Smith's two main tomes, this book would be adequate but it assumes some prior knowledge of the eccentric "Father of Capitalism". David Daiches Raphael was educated at the Liverpool Collegiate School and at University College, Oxford.